One international energy leader is predicting natural gas is on its way to being the love of the world. Not coal. Not oil. But natural gas, once considered to be the byproduct of oil drilling. Ask Chesapeake Energy executives who focus on natural gas drilling and have done so for years. As natural gas works its way to being the number one sought-after energy source, oil drillers can be thanked. Because as oil exploration expands, so does the discovery of more and more natural gas. But now the CEO of French energy giant Total predicts natural gas will be sought more than oil. Patrick Pouyanne spoke at last week’s CERAweek by IHS Markit in Houston, telling the crowd he runs a gas and oil company, not an oil and gas company. 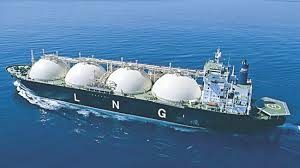 Not only is natural gas abundant and transportable, it is easily stored. Such as the massive underground storage near the central Kansas town of Canton. It is one of the two largest in the U.S.
Oklahoma and other energy companies recognize the ease of storing natural gas in the state. While at one time countries such as China and India imported coal from Oklahoma, the two are abandoning coal and expanding their imports of liquefied natural gas. As reports have indicated, China has pledged to reduce its dependency on coal. The country relies on coal for nearly 65 percent of its power generation. “China’s demand is increasing significantly. They’ve had a very active program to move off of coal in heating industrial applications, and that’s pulled on LNG,” said Pierre Breber, executive vice president for downstream operations at Chevron, according to the Reuters news agency. India, which will soon become the world’s largest energy importer, plans to increase gas from 6 percent of the nation’s energy mix to 15 percent. 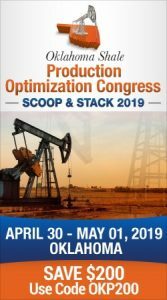 “We believe early-mid next decade, we will see the supply-demand gap developing again, and it will convert from a buyer’s market back into a seller’s market, and it will require some elevated contractual gas prices to incentivize new green-field developments,” ConocoPhillips CEO Ryan Lance told the CERAWeek audience.